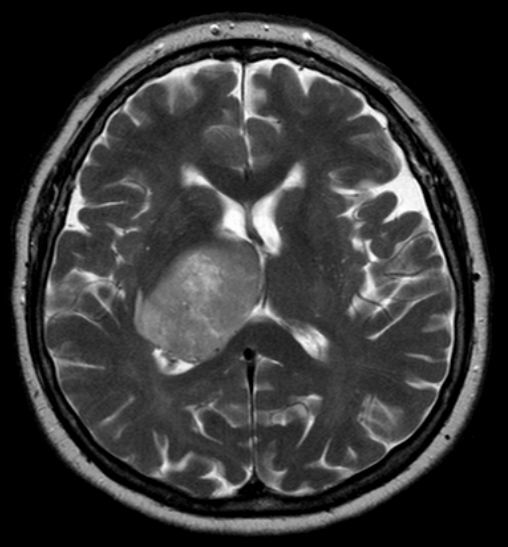 The current investigative treatment in this double-blind and placebo-controlled clinical trial for newly diagnosed glioblastoma patients is an autologous tumor lysate-pulsed dendritic cell vaccine (DCVax®-L). Immunotherapy was specifically chosen for the immune cells’ ability to locate and terminate target cells. Dendritic cells, specifically, play an intermediary role in the immune system, processing antigens to provide key information to T cells. Each patient’s vaccine was personalized: DCVax®-L was produced by “processing the resected tumor tissue into a lysate, and then collection, purification, differentiation, activation, and loading of autologous DCs.” Basically, after surgery, a previously collected sample of the patient’s own dendritic cells are exposed to a processed portion of that removed tumor tissue. Once these dendritic cells are familiar with the tumor tissue, they are prepared to pass along that information to the T cells, which they can do once injected back into the patient. To produce the total 10 doses each patient would receive over their 36-month long treatment course, about 2g of tumor tissue was required. All doses for a patient were produced at once and then aliquoted and cryopreserved. Three hundred and thirty-one patients between 18–70 years old with newly diagnosed glioblastoma were recruited from 80 different sites in the US, Canada, UK, and Germany. After receiving surgical resection and 6 weeks of standard chemoradiotherapy care, patients received intermittent treatments (of placebo or DCVax®-L) along with monthly chemotherapy. Each DCVax®-L treatment contained a “dose of 2.5 million autologous tumor lysate-pulsed DCs” and was injected intradermally in the upper arm. Patients received six doses in the first year and only two doses each subsequent year. All patients were given the option to receive DCVax®-L after tumor progression or recurrence. Consequently, almost 90% of patients received the vaccine. Preliminary results of this ongoing study show median survival of 23.1 months (just shy of 2 years) for all patients in the study (nearly 90% of whom received DCVax®-L treatment), and over 25% surviving at least 3 years. Patients with a methylated MGMT gene promoter (indicator of increased efficacy of care), had a median survival of 34.7 months. These survival rate findings are significantly improved compared to survival rates of the typical standard of care (15–17 months). This study also adds to the consistent safety findings that have been shown for DCVax®-L in previous phases of the clinical trial. The extended survivors (> 3 years) are of particular interest to the researchers for additional investigation and analyses. As this is an ongoing study, full analyses cannot yet be conducted or released. Although full results from this clinical trial may take a few more years, these preliminary results indicate DCVax®-L positively affects the survival rates of patients with glioblastoma, the most aggressive cancer within the central nervous system. Thanks to this vaccine, patients with newly diagnosed glioblastoma may have longer survival expectancies. Liau, L. M., Ashkan, K., Tran, D. D., Campian, J. L., Trusheim, J. E., Cobbs, C. S., ... & Iwamoto, F. M. (2018). First results on survival from a large Phase 3 clinical trial of an autologous dendritic cell vaccine in newly diagnosed glioblastoma. Journal of translational medicine, 16(1), 142.